Leading global supplier of logistics automation solutions, systems and services, Dematic will display the Dematic Multishuttle, its innovative storage and order fulfilment solution at the Smart Conference & Expo 2011. 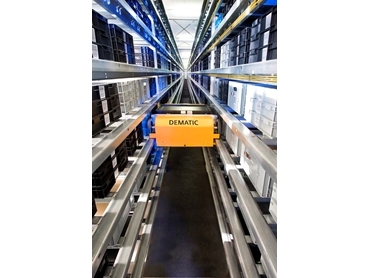 Dematic Multishuttle is a flexible Automated Storage and Retrieval Systems (AS/RS) solution for applications that require dynamic, high rate product sequencing to support order assembly, goods to the person picking, and pick face replenishment. The Dematic Multishuttle extends the range of applications possible with automated storage systems, allowing a completely new range of automation solutions to be developed. Dematic is displaying the Multishuttle on Stand 22 at Smart Conference & Expo 2011.